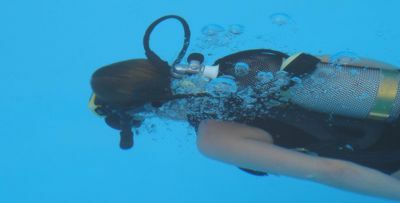 If you are guest of the hotel MARITIM, please pass by our office or call 6819 on your internal hotel phone to register for a Try Dive. If you are coming from outside the hotel MARITIM please call (+34) 922 36 28 01 to make reservations or visit us in our office. 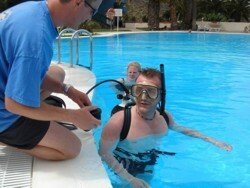 As external participant you must meet us before the Try Dive in the dive centre as you may not enter the pool area on your own. Please don't forget your towels and swim suits! 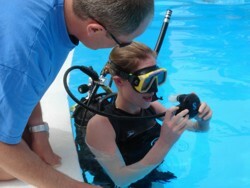 For guests of the hotel Maritim the participation in the try-dive is free!